Meetings are held 7:30pm on the third Friday of each month, usually at the La Vale Public Library. Occasional meetings are held at the Frostburg State University Planetarium. Leo the Lion - Spring’s Premier Constellation! This will replace the regular “3rd Friday” time and location!!! 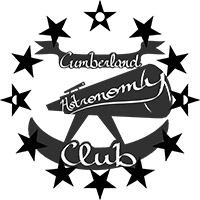 After the Science Saturday Planetarium Show the club sometimes will assist with pointing out features in the night sky and with viewing with some of the university’s telescopes, weather permitting. Click here to view Archived Page.